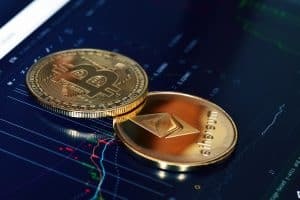 Industry veteran and former head of electronic brokerage, execution services and market structure at agency broker ITG has resurfaced at a cryptocurrency wallet provider known as Blockchain. Jamie Selway joins Blockchain as global head of institutional markets, bringing 20 years of experience in trading services and financial infrastructure which will be used to build out the firm’s blockchain product suite for institutional clients. Selway spent seven years with ITG in various roles overseeing the company’s global electronic products, the US electronic, single-stock, and portfolio execution businesses but departed in March this year. As regulation and oversight of cryptocurrency trading continues to develop, Blockchain added that Selway will be instrumental in engaging with policymakers. He has significant experience of dealing with regulators, including the Securities and Exchange Commission (SEC), after serving as a director on the exchange board at Bats Global Markets. “Many institutional investors are still waiting for the mature critical infrastructure they need to trade, secure, and analyse digital assets,” said Peter Smith, CEO and co-founder at Blockchain. Blockchain currently provides cryptocurrency wallets and recently launched an institutional-grade platform to provide investors with access to markets, research and services via its digital asset platform.